Every Friday and Saturday night the volunteers at the White Pony Lodge are out patrolling the streets of north central Regina. The patrol hands out bread and warm clothes for those in need and collecting discarded used needles. 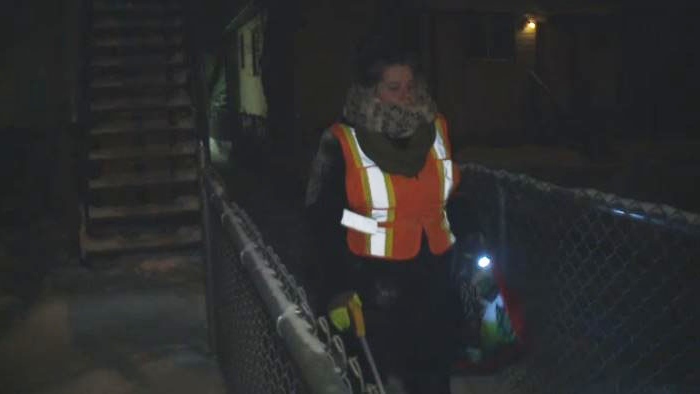 Patrol coordinator Leticia Racine is a recovering addict from Manitoba that has been patrolling the streets for two years, giving back to the community. Charity Mbugua is a nursing student at Saskatchewan Polytechnic and she is a first-time volunteered on patrol with White Pony Lodge. “As nursing students we work mostly in the hospital and we don’t really get the opportunity to go outside much and so when we were asked to come here we wanted to experience absolutely everything and help out anyway we can,” Mbugua said. White Pony Lodge says it plans to grow bigger and hope to get more volunteers on board to help meet their needs for the future. Some Saskatchewan residents say they were shocked when they received their latest power bills, after some found charges running in the hundreds of dollars, far higher than what the customers say they usually pay.